If you’ve been a long-time reader of the blog, you’ll know the Elemis Pro-Collagen Cleansing Balm is one of my all-time favourite cleansers. 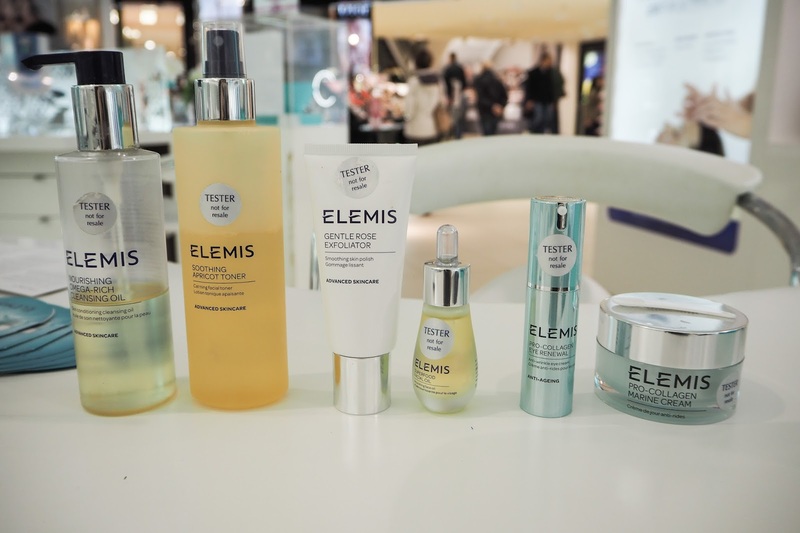 Even though I frequently use Elemis products, I have never tried one of their facial treatments, so when Sophie from the Debenhams Chester counter invited me to experience one, I just couldn’t wait! Before the treatment began I had a consultation about my skin’s condition and what my skincare concerns were. 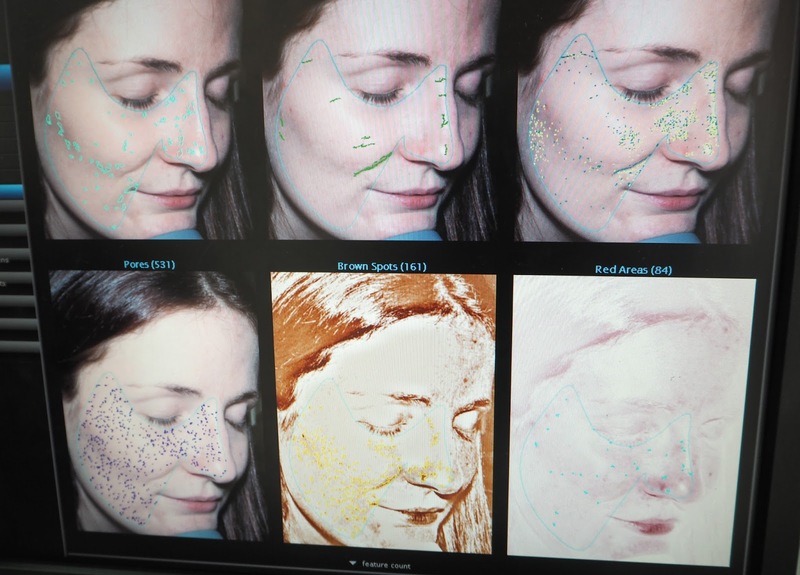 I also had a SkinLab 3D face mapping done; it’s a clinical camera which shows things like hydration, texture and sun damage. 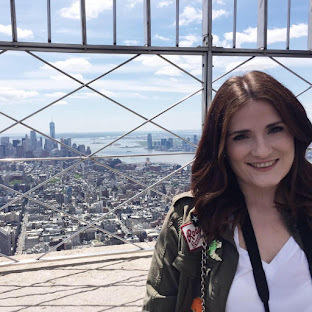 I had great levels of hydration which I was super happy about, as well as little skin damage, which is very important to me having fair skin. I had some areas of texture and pores on my nose and cheeks which needed addressing, so Sophie recommended I added in a toner and exfoliator to my daily routine. Did you know that water doesn't match your skin's natural PH level so it takes hours to rebalance, which is why you need a toner? The Elemis Tri-Enzyme Resurfacing Facial is one of their most popular, it helps get rid of dead skin cells, revealing smoother, renewed skin. This was performed by Sophie in a quiet room, away from the shop floor, the room itself was cozy and had a relaxed atmosphere. I sat in the massage chair as she performed the facial. The chair works on your back muscles and any tense areas with kneading motions. It’s like having a facial and a back massage at the same time. The facial treatment began with the White Flowers Eye and Lip Makeup Remover and the Rehydrating Rosepetal Cleanser to remove any traces of makeup. The refreshing Apricot Toner was applied before the Papaya Enzyme Peel, this is where the resurfacing part of the facial began. The next step included products that are only available to the professionals who perform the treatment. These include the Dynamic Resurfacing Serum, Dynamic Resurfacing Peel Off Mask, and the Dynamic Resurfacing Serum. The products take the treatment to the next level, so it’s worth booking a treatment just for these, as they aren’t available for at home use. While the Peel Off Mask was setting, Sophie gave me a lovely, relaxing arm and hand massage with the Frangipani Monoi Body Oil. This is one of my favourite scents from their line. Sophie added in an extra 15 minutes of eye massage to the treatment, which used the Pro-Collagen Eye Renewal. You can also receive an extra 15 minutes free if you quote #Extra15 when booking into the Chester counter for a facial treatment. Their number is 01244319992 if you’d like to book in. Before I left, Sophie ran through the products which were suitable for my skin type to use at home. I would highly recommend the Elemis Tri-Enzyme Resurfacing Facial, I left feeling like I was floating on a cloud and my skin looked noticeably more plump and bright.